Runs Bigaria-label="A rating of 1 means too small, a rating of 5 means too big, a rating of 3 means true to size. This items average rating is 3.5. Measure around the largest part of your head, usually just above the eyebrows. 21 1/2-21 7/8" 22 1/4-22 5/8" 23-23 1/2" 23 7/8-24 1/4"
Measure around your flat hand at the knuckles, thumb extended, for normal glove size. If you're at the lower end of the scale and want a closer fit, order one size smaller. If you're at the upper end, and want a looser fit, order one size larger. For wear out in the desert heat, or for layering under your other clothes for a base layer. 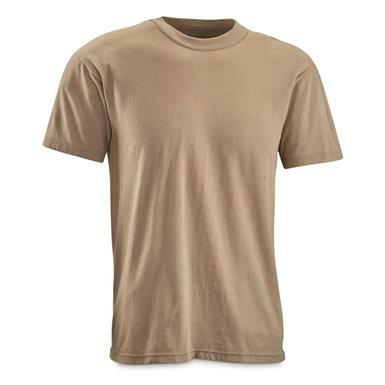 You get 10 Shirts, all made to strict U.S. military clothing specifications. Pre-tested by troops in a variety of environments. 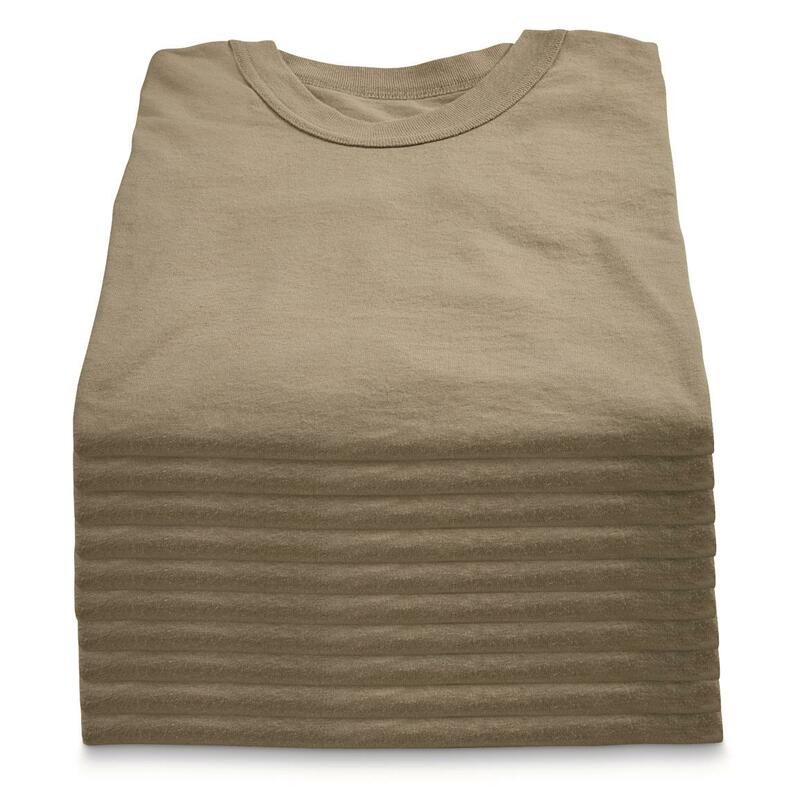 Moisture-wicking, easy-moving, no hassles. U.S. Military Surplus Desert T-Shirts, 10 Pack, Used is rated 4.5 out of 5 by 2. Rated 4 out of 5 by Chad from Good deal Fits are pretty inconsistent, I wear large T-shirts, these fit like medium and small. Came 50/50 or 100% polyester but feel more like cotton. I want them as a base layer for work so they will work. Gonna try the XL for everyday.